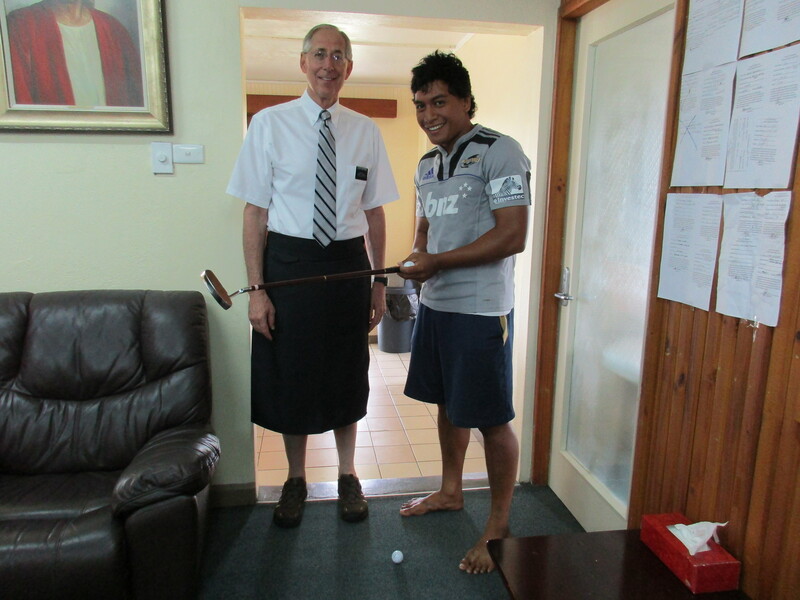 July 20 – 26 – Craig and L'Or L.
The YSAs playing with a putter at the institute this week wasn’t anything like real golf, but it sure was Good Old Lighthearted Fun! 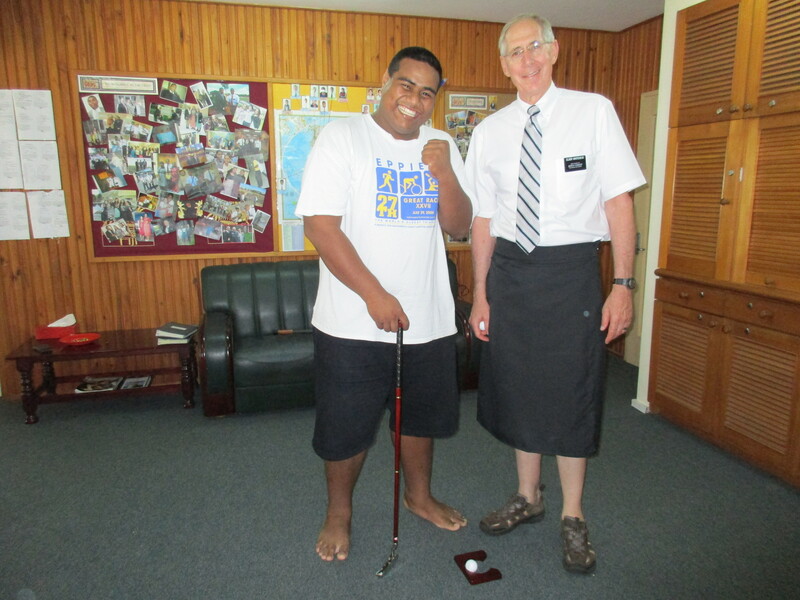 Our friend Richard Russell gave Elder Whitehead a putter (in sections that screwed together), two golf balls and a wooden cup, so this week everyone learned some rules and how to putt. It was hilarious to see those who had never played golf play it like billiards: banking the ball off doors and baseboards to make impossible shots. 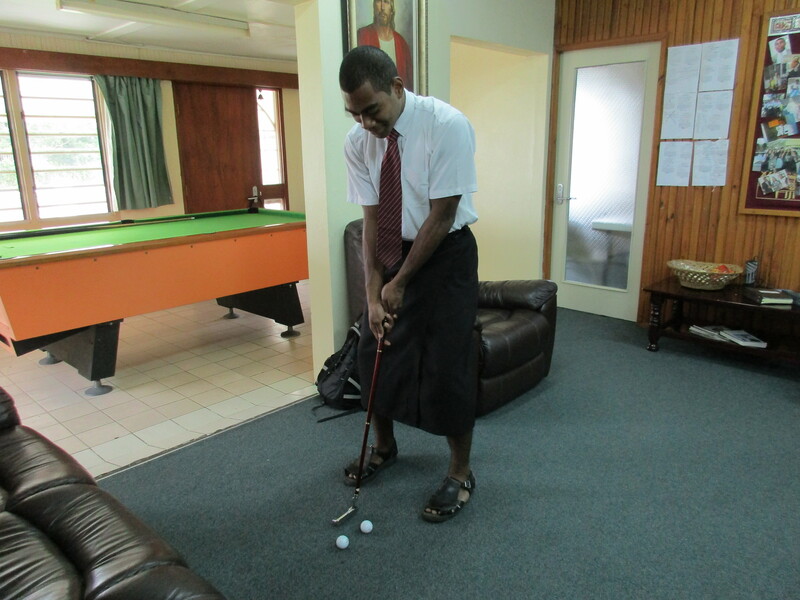 We just need to warn VJ Singh that if he ever comes back to Fiji and plays putt-putt, he’ll have some serious competition! Lai, taking it to our classroom and schooling the teacher! Our classes are going great, and getting to know people here is going even better. 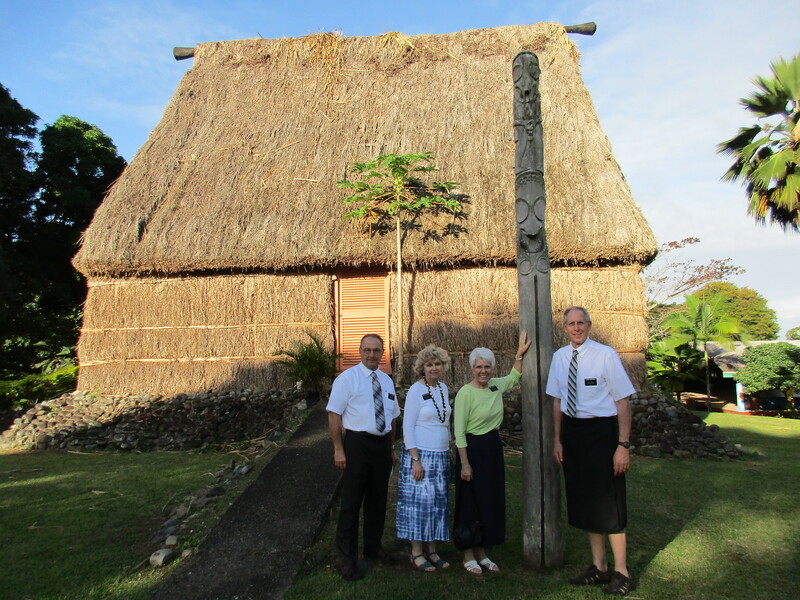 We have a lot to learn from these YSAs who can stand up and offer an inspiring spiritual thought or conduct a class with only a moments notice. They are my new heroes. No one gave Utah’s Pioneer Day much notice here, but that’s ok — they are pioneers themselves! Many are the only members of the Church in their family. 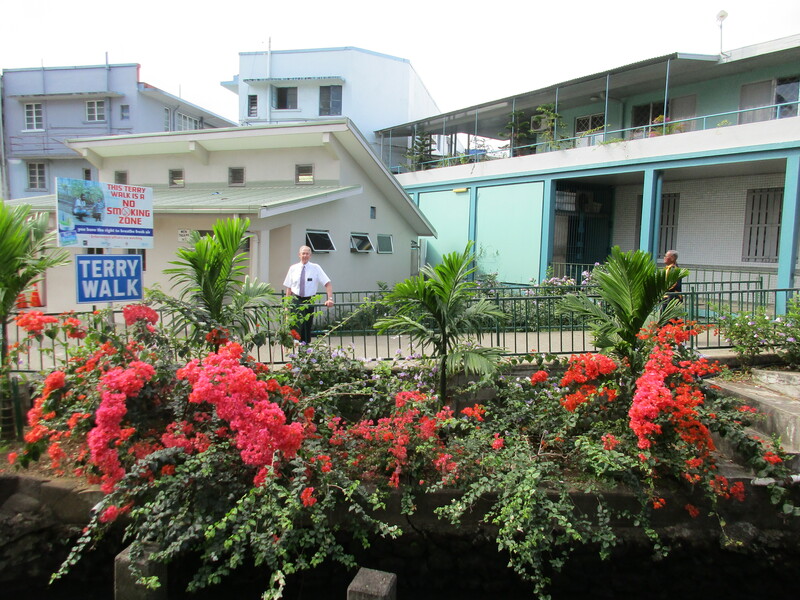 A brother in our ward, Nate Lambert, is head of the Psychology Department at University of South Pacific, and he gave us and the Alldreges a tour of its beautiful campus. 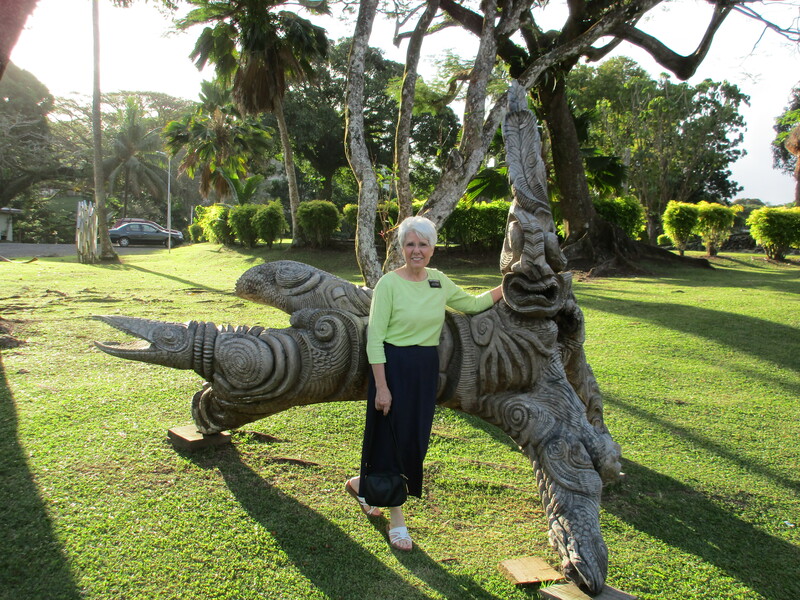 It has huge Banyan trees, every kind of palm tree, starfruit trees and gorgeous flowers. It was like walking around in paradise. 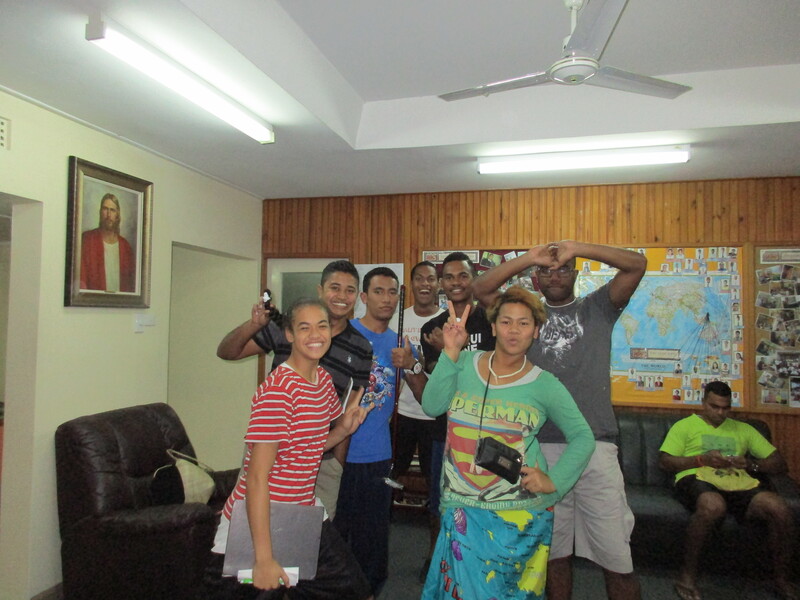 Plus, it has the best bookstore in Fiji. We even saw books there by Steven Covey and Mitt Romney! 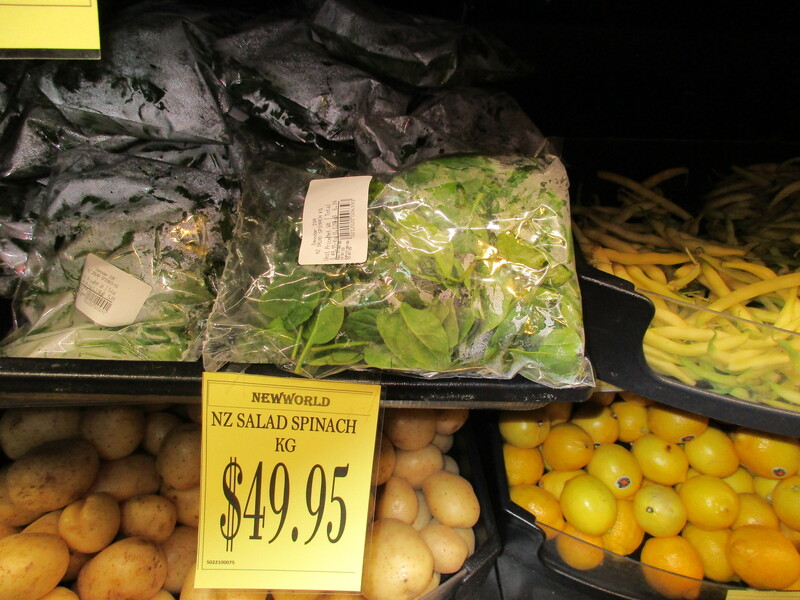 Good thing Popeye didn’t buy his spinach here! …but the beauty all around us makes up for it. 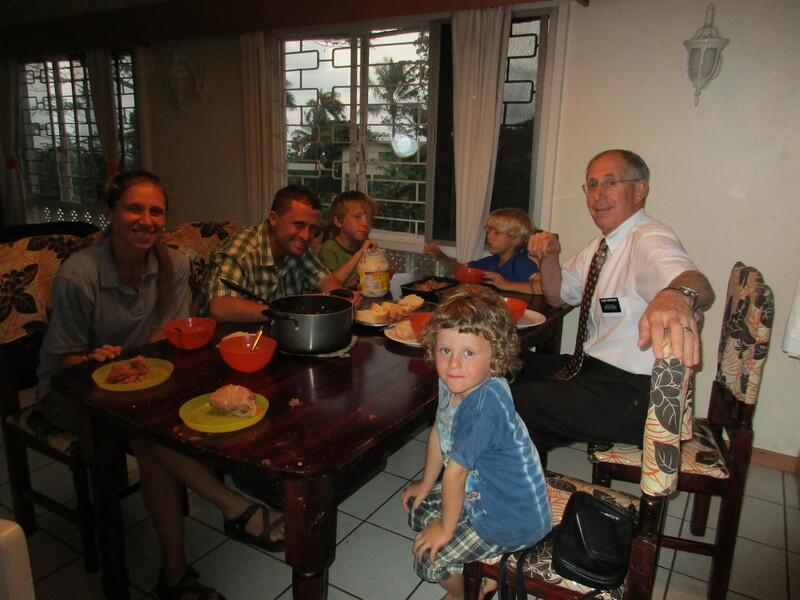 Bro Lambert went on a mission to Russia and met his future wife, Olya, in a Russian class at BYU when he returned. She was kind enough to go to all the work of making us an authentic Russian dinner of borscht and cabbage rolls. What a treat — and we didn’t even have to go all the way to Vladivostok for it! Our Saturday night activity was a blast! 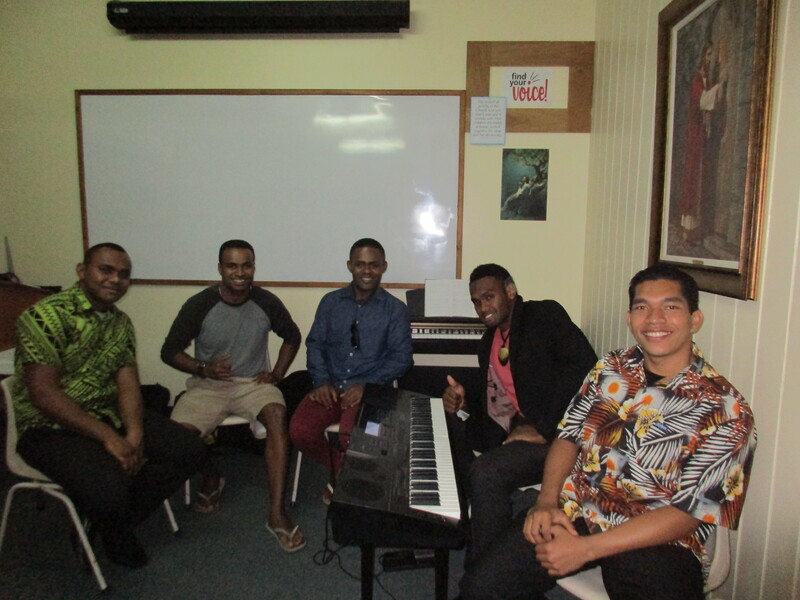 Along with pool, cram board, ping pong, Jenga, charades, more golf, and freshly baked cookies right out of the oven, Jimmy Tupua and his fellow Hibiscus King contestants (with a great keyboard and rythym box), practically brought the house down with their beautiful singing! We could have listened to them all night.